PIN - SARAH COVENTRY. "TANGERINE" FROM 1973. 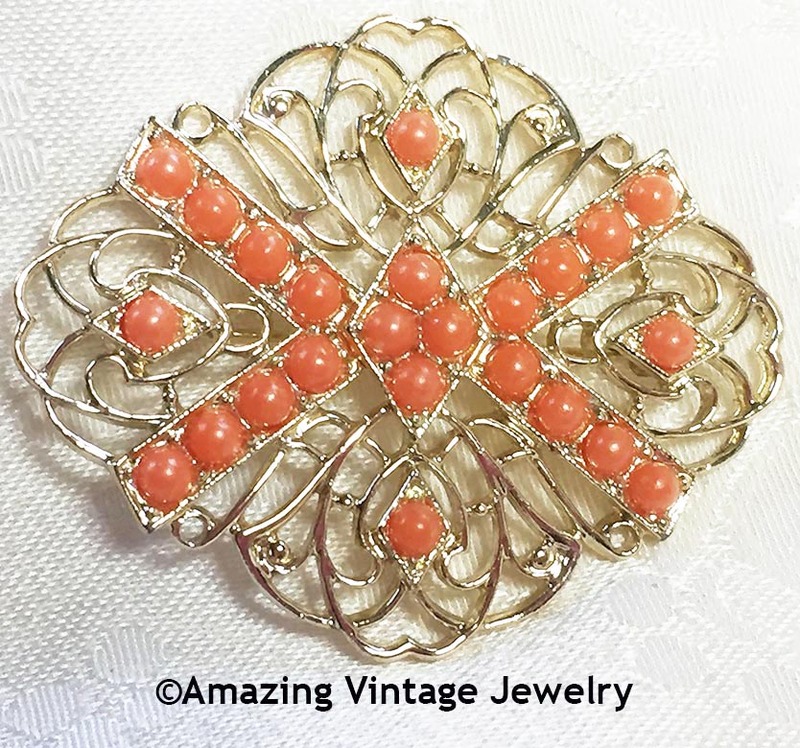 GOLDTONE OPENWORK WITH ORANGE BEADS. CLIP. 1 7/8" LONG, 2 3/8" ACROSS. VERY GOOD CONDITION. THERE ARE A COUPLE OF VERY SMALL CHIPS TO THE METAL BUT THEY ARE VERY HARD TO SEE.